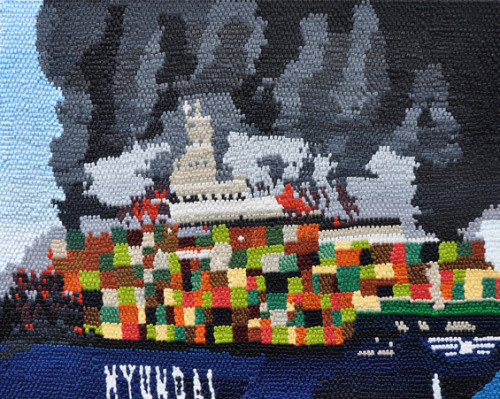 These container ships by Caroline Larsen may look like some sort of needlepoint, but are in fact oil paintings. 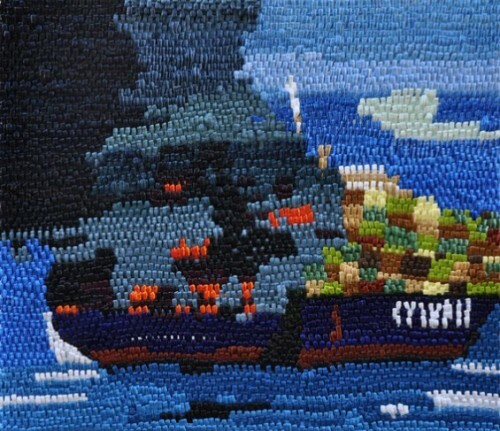 This entry was posted in Front Page and tagged art, caroline larsen, container ships, painting, Posthorn, Repost, Tumblr on 29/03/2012 by John. 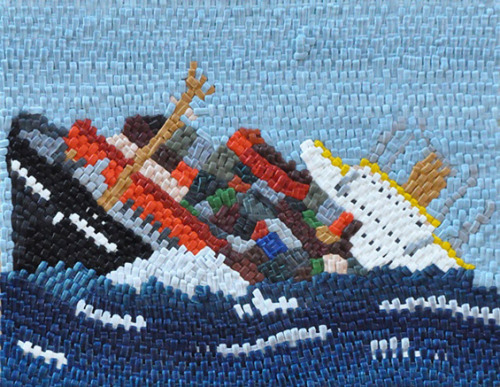 Caroline Larsen has shamelessly ripped off Sasha Pierce (www.sashapierce.ca). Pierce’s is Art with a capital A.
Larsen’s is nothing but crude living-room fluff.